Now with a solid foundation in the Subterraneous camp, MaGestiK LeGenD has gradually changed to a more global focus. Setting his sites on shows overseas, songwriting, and being a complete producer. With plenty of performing experience from touring nationally, MaGestiK LeGenD has developed a very high energy live show that will entertain you and actually make you FEEL where he is coming from. He has performed w/ a long list of artist, including George Clinton, Wu-Tang, Ludacris, De La Soul, Rakim, Saul Williams, and Redman. 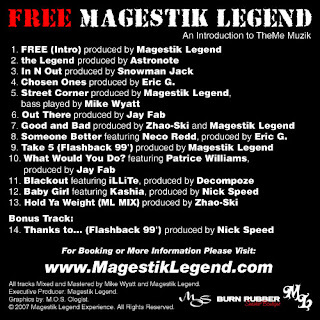 MaGestiK has been featured on projects w/ Elzhi, One Be Lo, and Capital D to name a few. While still shopping deals and researching distribution avenues for his debut LP. 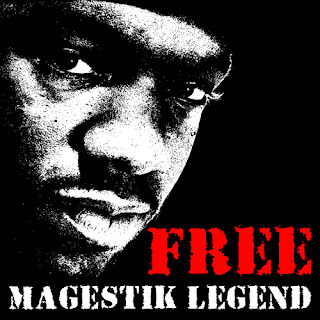 MaGestiK LeGenD recently decided to take the independent route and release the FREE MAGESTIK LEGEND Project strictly for his fans. The FREE Project is dedicated to giving back to those who have supported his release since day one.